HiQnet is HARMAN’s comprehensive communications protocol or language with which all device-types within the full audio signal path can communicate. HiQnet Audio Architect™ is the ultimate software application designed to configure and control the widest varieties of professional installed sound systems. This system design and configuration software presents a system design philosophy centered on operational workflow, and the use of a diagrammatic representation of the physical venue. Devices understand both their physical and logical placement - in racks and rooms - and the software therefore becomes ‘educated’ about how they are to be used in the real-world. Audio Architect then automates many of the laborious system design tasks for free. Control interfaces for control and monitoring of all manner of groups of devices are generated automatically. The simplest drag-and-drop networking interface available today provides the optimal user experience while provided system-wide networked audio routing and advanced tools for custom panel creation, creating logic rules, configuring access control and many more. 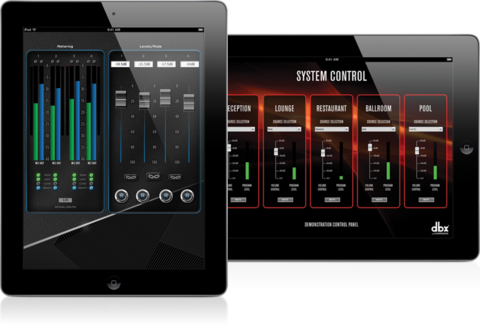 HiQnet Motion Control™ – an Apple iOS app enables customized control interfaces designed in Audio Architect to be exported to iOS devices for mobile system control. 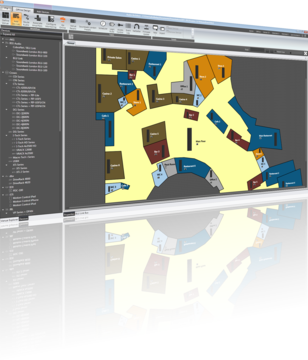 Dedicated design templates are available within Audio Architect for the configuration of customized interfaces, which can be used to control BSS Audio Soundweb London and DriveCore Install Series. Requires iOS 6.1 or later. Compatible with iPhone, iPad, and iPod touch. The Powered by Crown app allows wireless control and monitoring of Crown Ethernet enabled devices – including the DriveCore Install Series. The perfect companion for the system commissioning engineer. A variety of other system control options include Audio Architect’s own Full Screen Mode and comprehensive scheduler, Soundweb London’s own internal calendar and dedicated wall controllers. HiQnet System Architect is now a legacy software application and has been replaced by HiQnet Audio Architect.